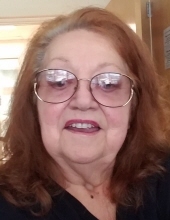 Marietta A. Richard, 80, of Freehold Township passed away on Thursday, February 7, 2019 at CentraState Medical Center, Freehold Township. She was born in Brooklyn, N.Y. and had resided there before moving to East Brunswick in 1953. The family moved to a home she and her husband built in Old Bridge Township in 1969. She recently resided in in Freehold Township. She and her husband, the late Andrew Robert Richard, were the owners and operators of A.R. Richard Fence, Old Bridge. Mrs. Richard was a former board member, past president, a former vice president of the community swim team of Lake Adventure Community, Lords Valley, Pennsylvania where she spent her summers with her friends and family. She was an avid mahjong player. Mrs. Richard is survived by her five children, Robert and wife Diane, John and wife Kim, Thomas, Laura, and Lisa; a sister, Eva D’Orazio; 11 grandchildren; and a great grandson. The viewing will be held at the Higgins Memorial Home, 20 Center Street, Freehold on Sunday from 2:00 to 6:00 p.m. The interment will be held at Chestnut Hill Cemetery, East Brunswick on Tuesday at 11:00 a.m.
To send flowers or a remembrance gift to the family of Marietta A. Richard, please visit our Tribute Store. "Email Address" would like to share the life celebration of Marietta A. Richard. Click on the "link" to go to share a favorite memory or leave a condolence message for the family.